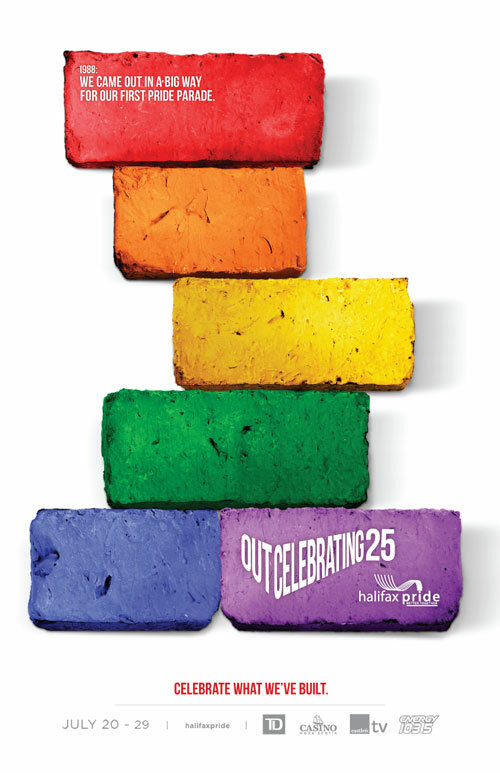 This year, Halifax Pride continues its annual “timeOUT Lecture Series” at the Halifax Public Library on Spring Garden Road. This is your opportunity to hear some dynamic speakers reflect on the legal, political, and social issues affecting our community. The lectures are organized by the Nova Scotia Rainbow Acton Project (NSRAP). Lectures begin at noon for approximately an hour; admission is free. Pride celebrations across Canada in 2012 might look unrecognisable to the participants in the original Pride marches. As Pride celebrations grow in size and acceptance, are they continuing to serve our communities’ needs? NSRAP Board member Rebecca Rose; Rebecca has been involved in various feminist and queer organizing in Halifax since moving home from Toronto three years ago. Rebecca helped organize Halifax’s first Dyke March in 2010 and has been on the organizing committee for the Dyke and Trans March for the past two years. NSRAP Board member Andrew Jantzen; Andrew is social activist who grew in rural Alberta, but moved to Antigonish, NS in 2006 where he was heavily involved in local queer politics. Since moving to Halifax in 2011, he has devoted time to working with youth and supporting grassroots social and environmental justice. Chris Aucoin; Chris is currently the Gay Men’s Health Coordinator with the AIDS Coalition of Nova Scotia and has been active in Halifax’s queer community for many years. He has worked in health promotion and support (in the areas of HIV/AIDS and in mental health), in social justice advocacy and education regarding poverty and food security concerns, and in human rights issues. Gabe Saulnier is an educator with Healing Our Nations, a non-profit organization working to educate First Nations people about HIV and AIDS. He will lead a discussion on healing, which is open to all who wish to participate and learn more. How do LGBTQ women experience health care in Halifax? How do health care providers experience working with LGBTQ women? Come discuss the results of a study, presented by a group of researchers from Dalhousie University. In 1982, Canada adopted our Charter of Rights & Freedoms, and started a revolution. Lawyer and activist Kevin Kindred will help us look past the over-simplified news stories, for a more nuanced look at how the Charter has shaped the queer rights movement in Canada. Join the Nova Scotia Rainbow Action Project in the Halifax Pride Parade! NSRAP will be marching in this year’s Halifax Pride Parade around the theme “Trans Rights Are Human Rights!” We are looking for volunteers to march with us and bring attention to transphobia and trans discrimination faced by those who are transgender, gender variant, gender queer, gender non-conforming or intersex. If you are interested, simply RSVP via Facebook or by e-mail. Share this with friends and show up on the day of the event. What will you do? You can carry rainbow flags, trans pride flags or carry picket signs advocating for trans equality. If we have a sufficient number of volunteers on the day of the parade, we will also collect signatures during the parade to advocate the government to include gender identity and gender expression in the Nova Scotia Human Rights Act. The Parade begins at 1:30 but the marshaling area at the DND dockyard opens at 10. Since we have minimal preparation required for our entry, we encourage you to arrive after 11 (but before noon). Enter through the intersection of Barrington and North to find the registration desk who can direct you to the NSRAP float. We will also try to post our location on Facebook & Twitter on the day of the event. Please note: NSRAP does not have a vehicle in our entry this year. Therefor, you should expect to carry anything with you the length of the parade. After the Halifax Pride Parade, look for the NSRAP booth in the community fair grounds. There you can sign our petition, become a member or find out more about our gala.